A group of community-minded residents has started an organization designed to — what else? — benefit the community. Valley Center attorney Tom Harris, financial adviser Spike Anderson and seven others have organized the first Valley Center Community Foundation. The foundation will provide an avenue to fund community projects and amenities through grants and will give donors a structure for tax-deductible endowments and targeted giving. 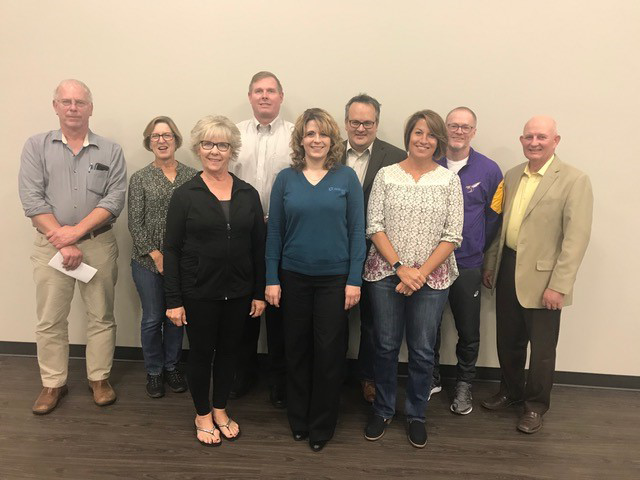 The foundation’s board members agreed to become an affiliate member of the Central Kansas Community Foundation, which is based in Newton, allowing the local group to become a non-profit organization and giving it a larger endowment base. The group met in early November 2013 to discuss the possibility of forming the foundation. It met again on Dec. 16 to formalize the organization, approving policies and guidelines for its operation. Much of the daily operation will take place with the parent group, Central Kansas Community Foundation. Harris is the group’s chairperson; Anderson is vice chairperson. Other board members include Mike Bonner with the Valley Center school district, Mike Porter with Michael Porter CPA, Howard Botts with Botts Corp., Ben Wilson with Decker Electric, Kristy Bruns with Prairie Song, Dr. Julie Evans with Ark Valley Animal Hospital and Jerry Hawkins, an attorney with Hite, Fanning and Honeyman. Central Kansas Community Foundation at that time had 15 affiliates, including Park City, Whitewater, Halstead, Hesston and Hillsboro. Please refer to the Valley Center Community Foundation Brochure for more information. From left: Tom Bartel, Olivia Wilbur, Anita Tidemann, Spike Anderson, Trish Schmidt, Jerry Hawkins, Jodi Kirkland, Mike Bonner and Mike Porter.